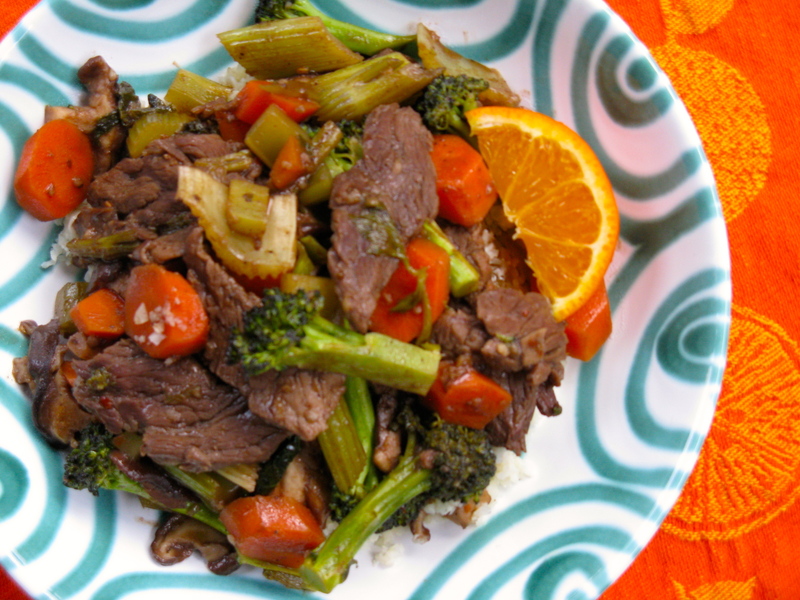 As a means to use up some of the citrus I’ve been getting in my CSA box, I came up with this mandarin beef stir fry. It’s fresh and flavorful, with a subtle sweetness from the mandarin juice. And, it’s loaded with veggies too. 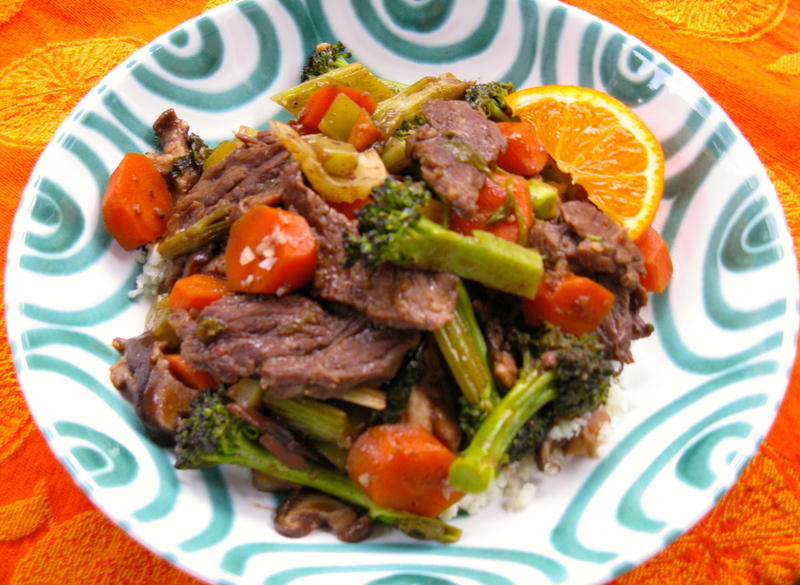 We ate our stir fry over scallion cauliflower rice (recipe below), but zucchini noodles or leafy greens would be great as well. It’s also delicious completely on its own. Melt the coconut oil in a large saute pan over medium heat. Add the garlic and celery and let saute a couple minutes. Then, add the skirt steak and season with a little sea salt and pepper. Continue to cook a couple minutes, then add the mushrooms and carrots. Saute one minute more, then add the coconut aminos, mandarin orange juice, rice vinegar and red pepper flakes. Stir well, then after a minute or so, add the broccoli. Continue to cook over medium-low heat, stirring occasionally. Once sauce has thickened up a little bit, after about 3-5 minutes, remove from heat and serve over scallion cauliflower rice, if desired (recipe below). Add cauliflower to the food processor and pulse until it’s completely riced. If need be, you can do this in batches, depending on the size of your food processor. Melt the butter or coconut oil in a large skillet over medium heat. Then, add the cauliflower rice and season to taste with sea salt and pepper. Continue to cook a few minutes until cauliflower is heated through. If you like your cauli rice a little browned, you can cook it a bit longer. Stir in the chopped scallions and serve.